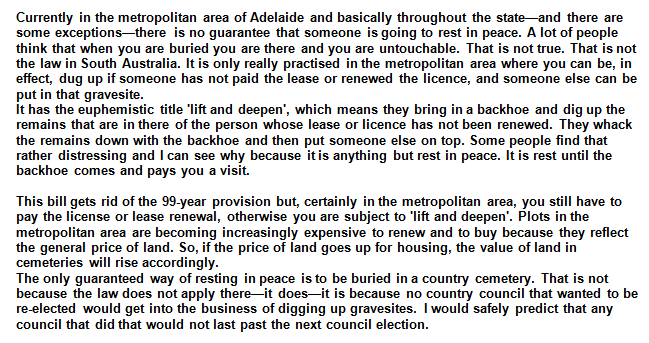 South Australia has always had a policy of leasing gravesites. Originally they were for 99 years, later some cemeteries reduced the tenure to 50 years and shortly after it went down to 25 years. Many people are totally unaware of this situation and are horrified to discover that the final resting place of their loved ones has been destroyed, and desecrated, without their knowledge. 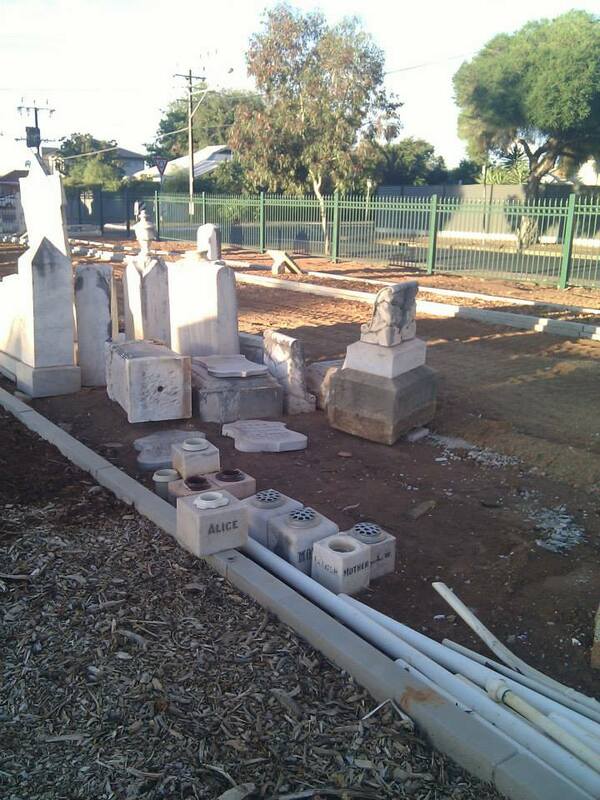 The purpose of this blog is to educate the public, widely publicise those Graves known to be immediately under threat and to do everything possible to change the law. 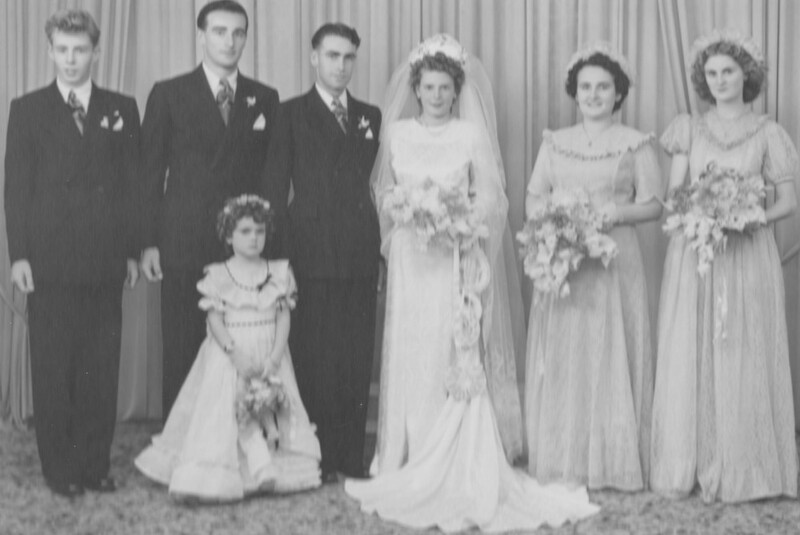 It seems not too much to expect that when our loved ones are laid to “Rest In Peace” these are not simply idle and meaningless words especially in this wide brown land of Australia. This blog is an offshoot of “Seeking Susan ~ Meeting Marie ~ Finding Family” and the views expressed herein are entirely my own and not those of any other individual, nor am I speaking on behalf of any group of which I am a member. So welcome and I look forward to you sharing this journey with me and all questions, thoughts and ideas are most welcome. As these are very sensitive issues full of emotion, and this is a public forum, I ask you to please respect others and do not share here any sensitive information likely to cause distress or harm. Oh dear Norma… that is so sad but it is good you saw the sticker before it’s too late. It depends on the Cemetery but, in most cases, if your in laws will sign the lease/ grant over to you, and you pay the renewal fee, your son will be safe and you will have control over that gravesite. I imagine you should be able to take over the lease even if your in laws don’t sign it over because it’s also where your little boy has been laid to R.I.P. If the lease is not renewed the gravesite becomes the property of the Cemetery and they can “redevelop” it by burying others on top of your relations and removing the headstones which you can claim, within a certain period of time.The best thing for you to do is to contact the Cemetery for advice as soon as possible. I’d be pleased if you let me know how you get on and, if you prefer, we can discuss it privately. Just let me know and I’ll email you direct.